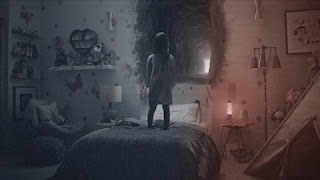 They've decided to call it quits on the last installment of the Paranormal Activity franchise with the next, upcoming film, titled Paranormal Activity: The Ghost Dimension. It will be the last dimension. After the first two that were pure popcorn fun, movie-goers started getting tired of the tale, even if they did continue to further the story a bit. With a prequel of sorts. But I don't think folks were too pleased with the last two and the studio figured it out. It's hard to miss when The Marked Ones only pulled in $32M. According to producer Jason Blum, this final chapter will answer all our questions about this Toby character! Personally, I've mostly enjoyed the franchise. Sure, it got old, but then again, furniture falling from the ceiling is one hell of a hoot!